If you’re suffering from a repetitive stress injury or a WEAR and TEAR injury, you may wonder how you can know for sure that the injury was caused by your job. After all, the Occupational Safety and Health Administration (OSHA) recognizes over 100 different types of repetitive stress injuries (RSIs) that can occur on the job. In fact, most work-related injuries are RSIs. Here are some signs that might indicate your injury is job-related. Computers have become ubiquitous in the workplace. We use them to build and maintain customer relationships, prepare invoices and reports, perform market research, keep track of inventory, and more. If you work at a computer, you’re most likely performing the same gestures over and over again all day long, often at high speeds, and with little opportunity for rest. The same can be true if you work with a touchscreen or mouse. Even though these movements don’t feel strenuous when you’re making them, they can still be profoundly damaging to your muscles and connective tissues. Office workers aren’t the only ones at high risk of workplace RSIs. Any worker whose job conditions expose him or her to repetitive movements and prolonged periods of vibration is also at risk. If you are a construction worker who uses power tools or swings a hammer all day, you could do damage to your muscles, tendons, and joints over time. That hammer may not feel heavy, but each time you swing it to pound in a nail, you’re doing a tiny amount of damage to your body that, over the years, adds up. Yes, even retail workers are at risk of RSIs. 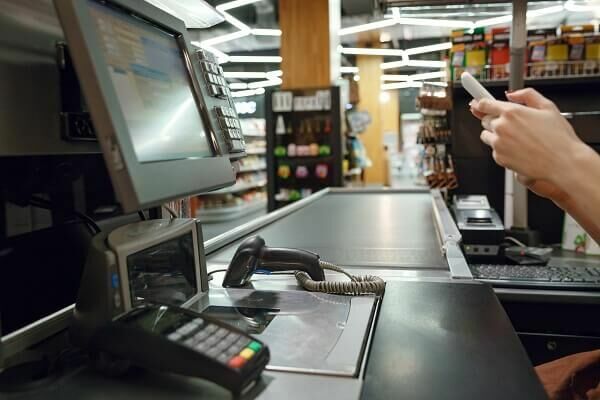 Retail jobs require workers to perform repetitive motions, especially at the checkout, where they must grab, lift, turn, and pull hundreds or thousands of items each day. The operation of hand-held scan guns requires another series of repetitive motions, as does stocking shelves. Jobs that require workers to either stand or sit all day carry a high risk of RSIs, as do any jobs in which workers must perform repetitive motions with the hands, arms, or fingers. Even musicians have been known to develop RSIs from playing their instruments! If you perform any kind of repetitive motions at work, there’s a good chance your injury is work-related. You might not be sure yet whether or not your injury is work related, but we can help. If you or someone you love would like to receive more information on workers’ compensation settlements, workplace injuries, wage claims, and how to receive workers’ compensation benefits, our attorneys have the experience you need on your side. Contact an experienced New Jersey workers’ comp attorney at Petro Cohen Petro Matarazzo as soon as possible at (609) 677-1700 or fill out the form online to schedule your free consultation. We can answer your questions and determine the most efficient way to proceed in order to help you and your family obtain the compensation that you deserve.